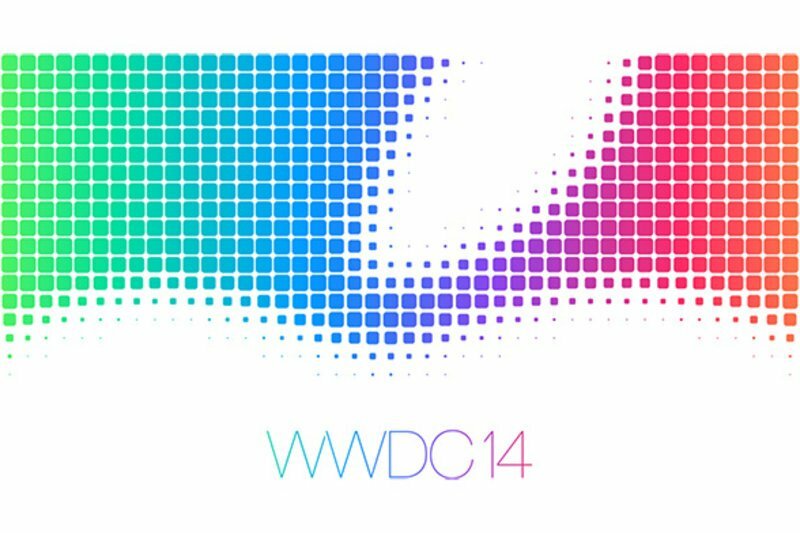 Apple did something remarkable during the WWDC 2014 keynote: Instead of just releasing software, they raised the industry standard for how people will interact with their computers. You can receive phone calls on your Mac now—even if your phone is across the room. This is approaching the unified messaging concept I wrote about a few years ago. Basically, audio/video/text will all start to merge into “messaging” that gets routed appropriately based on where you are and what you’re doing. They were only separate because of tech infancy issues. You will soon be able to send both audio and video through your text messages, and the interface is dead simple. This is massive. It’s communication. It’ll become instantly and overwhelmingly popular, and everyone will wonder why we didn’t have it before. And Apple released it as an “oh-by-the-way” feature. They unified text messaging by proxying regular SMS through iMessages. This means that all your texting is available no matter what device you’re using. It seems minor. It isn’t. You can now drag and drop things between any of your devices. Mac, phone, iPad—doesn’t matter. This is something that’s quietly frustrated computer users since we’ve been using computers, and now it’s finally being competently addressed. Finally, Handoff allows you to start something on one device, and pick up in that EXACT place when you switch to another device. Like the unified messaging stuff above, this is just how computers SHOULD work. These types of innovations are powerful precisely because they will seem completely obvious (and be taken for granted) as soon as you use them like three times. Thing is—nobody else has them (or does them well). Family Sharing: This is something that’s been missing from computing for a long time now. It allows you to set up a family unit and instantly share content with them, such as photos and videos. But it also allows you to share your purchases with them. It even lets you set up relationships that require permission, e.g. kids ask parents in real-time if they can purchase things on the credit card. Brilliant. Auto-configuration of your phone as a hotspot when there’s no wi-fi around. Markup in Mail is pretty significant. It allows you to quickly “draw” on images within emails—adding notes, arrows, highlights, etc. This will be used by many. Mail Drop in Mail is a silent powerhouse as well. It allows you to send massive attachments transparently to people without them being denied by the sender or recipient’s mail server. It does it by uploading to a cloud location transparently, and then having the other side pull it from there—but without the recipient even knowing. Automatic contact and invite integration in Mail are two other great mail features. When you get email from a contact that includes data about them, it’ll ask you if you want to add that data to your contacts. And if they send you an invite, it’ll give you the option to put it on your calendar without extra steps. Spotlight has been updated significantly to include more of the functionality of third-party offerings. It allows you to find locations, search for movies, perform calculations, interact with contacts, get Wikipedia data, etc. I have removed Alfred2 and am using it exclusively. You can now take video of the iOS screen from your Mac when it’s connected via lighting cable. Extremely handy for all sorts of use cases. Safari gets slick tab scrolling that’s supremely useful The sharing features, search options, and performance are also improved greatly. Group text messages are massively improved by allowing you to see the names of the people in the conversation, and allowing you to mute chatty threads and remove yourself if desired. You can also send or share your location with the people in the thread, which is super handy for coordinating get-togethers on the fly. Location sharing in text messages is worth mentioning by itself. Having this be part of texting is just massive. Asking people where they are is one of the most common things you do in texts—especially when you’re trying to meet up with them somewhere. This simplifies this extremely common task greatly. It’ll likely save billions of text messages a year by itself. iCloud now competes with Dropbox and Box by having its storage be available in larger sizes and interactable via folders in Finder.It’s stunning how many third-party applications and services were affected by this single keynote presentation. The notification functionality on both OS X and iOS got good upgrades to include a Today view and the ability to integrate third-party functionality. I’m using it quite often now. Developers now have a full-featured beta platform for letting people try their stuff on a large scale before they ship it. This is huge. The Health framework allows you to integrate multiple third-party tools into a single, unified interface that indicates your overall health. It also allows two-way communication with your doctor for certain critical functions, e.g. blood sugar, etc. They released a new programming language almost as an afterthought. The language focuses on ease of use, security, and power as it’s main areas of improvement. Predictive text in your text messages is more interesting than it seems. At first it looks like it’s just word suggestions, which is something other solutions have had for years. The real power comes from the fact that it’s recommending the best response based on the questions or statements from the other person—and it takes into account how formally you interact with them. These advances (especially the key ones discussed initially) are manyfold more innovative than anything Apple’s done in years. They constitute the biggest technological leaps since the iPhone in 2007. Google released Google Voice years ago. It’s kludgy. It has multiple clients, multiple experiences, and it doesn’t even work optimally on Android—let alone other platforms. It’s was a brilliant idea, with a 20% execution score. Apple is launching Continuity and these other messaging unification features, and they will disappear completely into the ecosystem. They’re not a platform. There aren’t clients. It’ll just work, and few people will even notice them after they’re there. It’s like the iPhone camera—utterly dominating by crushing the design/functionality mix. The results are predictable. Apple will be remembered as the company that brought us phone calls on our computers. They’ll be the ones that brought us audio and video in our text messages. They’ll be the ones that let us pick up where we left off in applications. Google will be the company that tried these things earlier and failed. I think it’s safe to predict that, combined with the iPhone 6’s larger screen size, these features are going to see Apple taking extraordinary marketshare from competitors in 2015.